On the morning of 31st January 2014, I was doing the routine count at 10 o’clock when I stumbled across an adult female who appeared to be in pain, so I thought. She was standing tall on her two legs and was pushing so hard that blood was coming out. Getting more concerned, I called James, a fellow volunteer, over and he said she was probably just having piles. Three other monkeys had gathered around her by this point and seemed to be comforting her so we decided to leave her to it and come back later and check. About 30 minutes later, I walked back and she had given birth!! What an extraordinary sight, my eyes filled up. I was so happy and felt so very lucky to be here and to be able to see this. Then I ran to tell James and tried to call Lawrence to come and see. 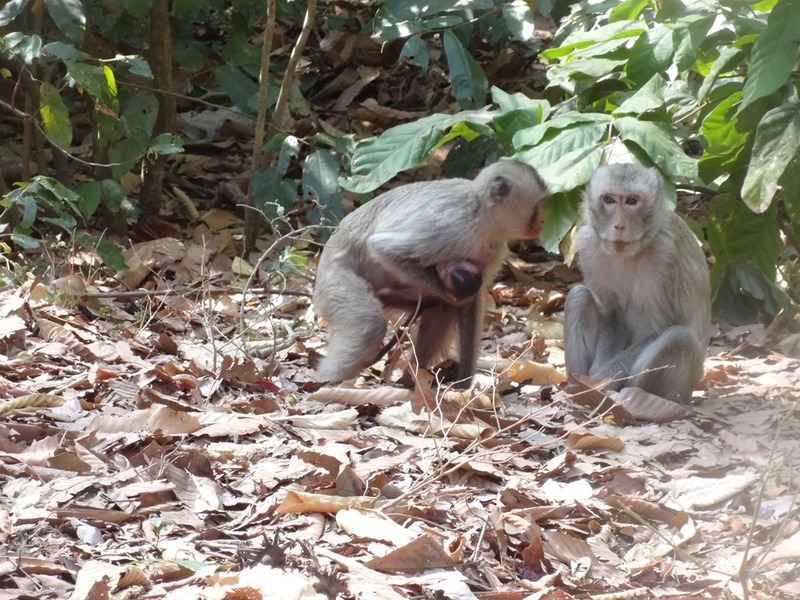 The Mum was now holding her newborn and was trying to chew away the umbilical cord. She was holding and cleaning him/her (time will tell !) with all her strength. After letting me watch her for a few minutes, she ran into the forest with her baby. 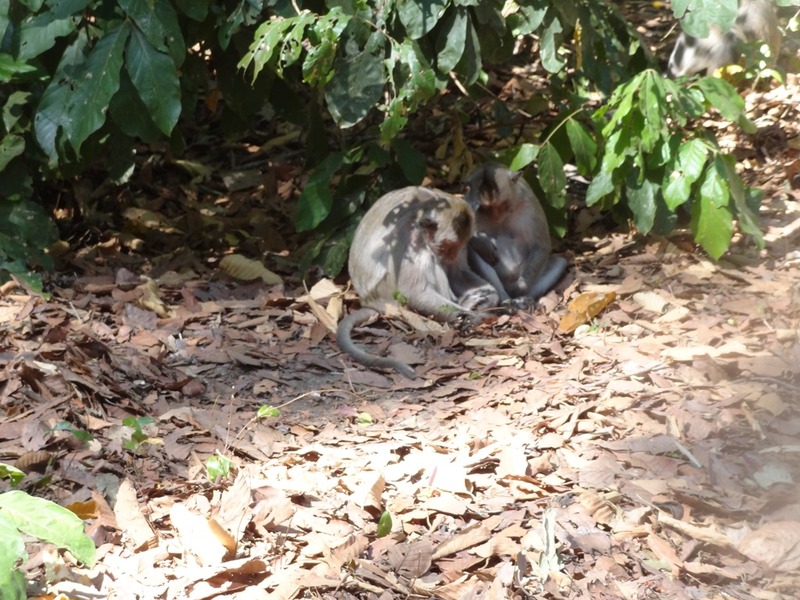 I already loved monkeys before coming to Phana…this particular occurrence has only reinforced that feeling. 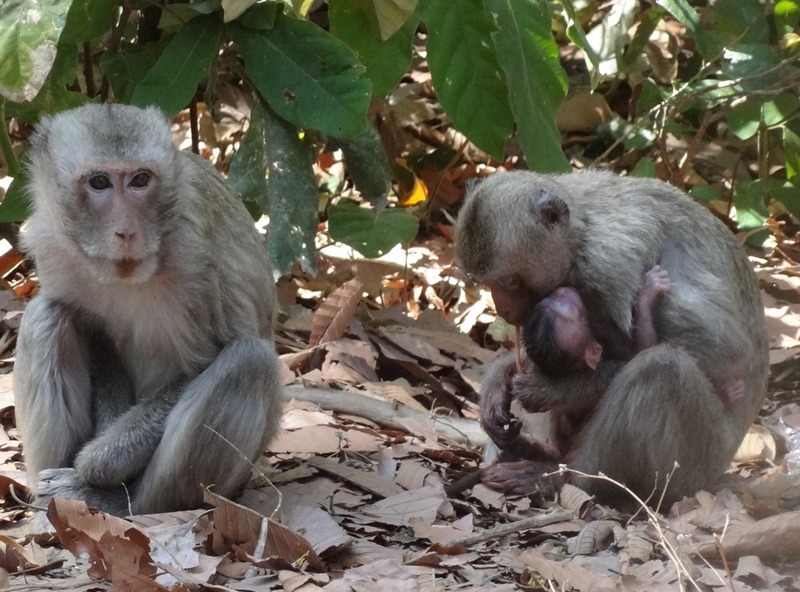 Lawrence adds: I am sure that James now realises that pregnancies and births are much more prevalent than piles amongst our long-tailed macaque population! I came on the scene about 35 minutes after the birth, and unlike Laura and James I had my camera with me. 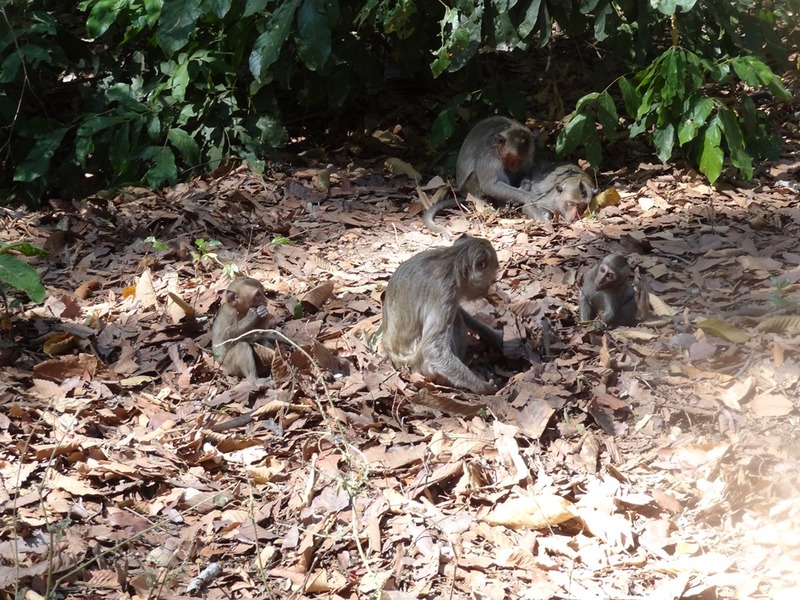 In the pictures below you will see the new mother’s “support group” almost certainly made up of her close female relatives. The one male present received close attention from an adult female the whole time I was there. 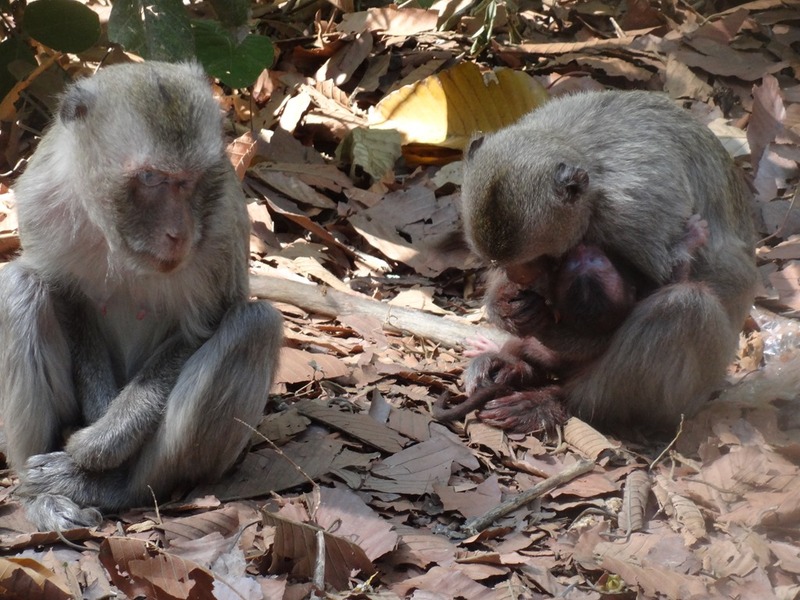 I saw the new mother and newborn infant arrive and sit down next to an older female, quite possibly the babies’ grandmother. These three stayed close next to each other the whole time I was observing the group. 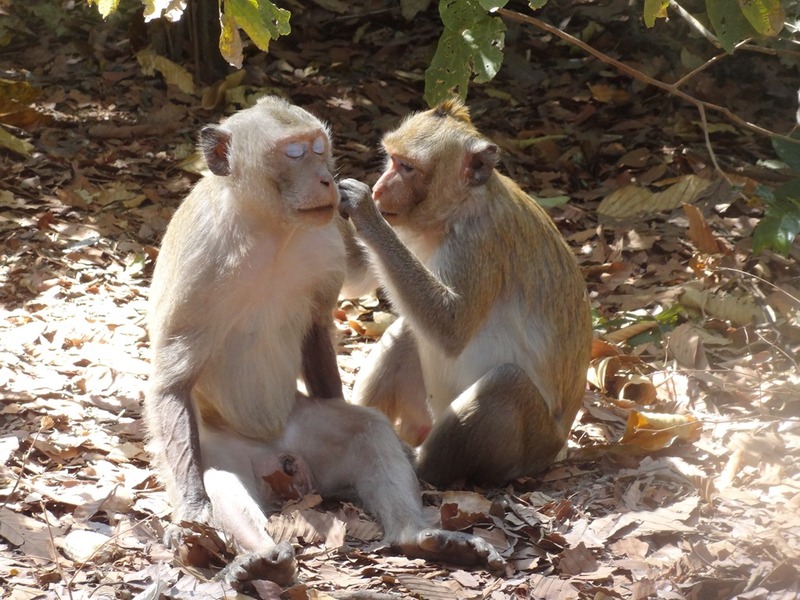 Another adult female present (below left) received grooming as well as the male (below right). This may have been in order to divert attention from the mother and baby in order to avoid any jealousy, perhaps. The younger members of the “support group” spent much of the time sleeping – as did ‘Granny’ off and on. 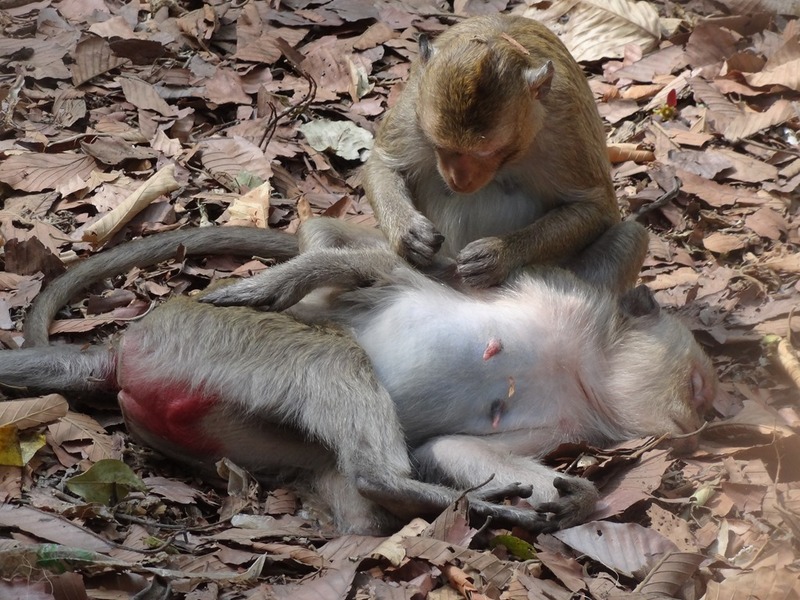 Here is a short video of the mother and newborn long-tailed macaque as the mother consumes the umbilical cord. 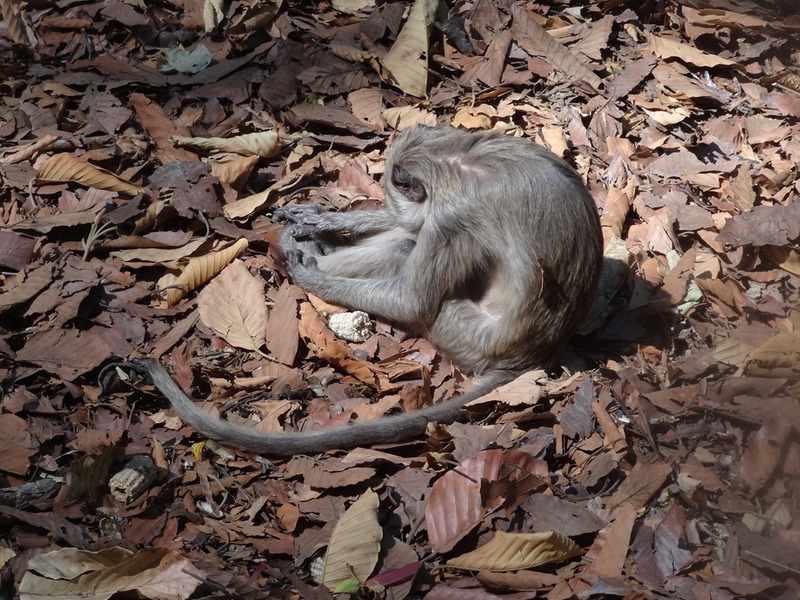 This entry was posted in Long-tailed Macaques, Macaques, monkey forest, Phana Monkey Project and tagged Long-tailed Macaque infant, Long-tailed Macaque mother, Long-tailed Macaques, Thai monkey forest, Thai monkeys. Bookmark the permalink.